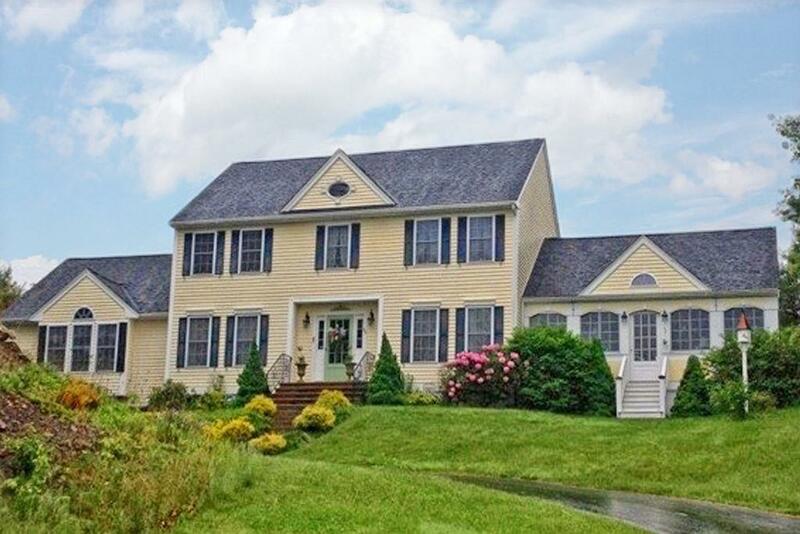 Welcome to MILL RIVER CROSSING….This oversized, open concept 4 BR Colonial has all the space and charm you could ever need…stunning custom kitchen with granite counters, Jenn Air SS appliances. central AC, Lennox heating system, reverse osmosis water system, Rinnai tankless water heater, new roof in 2012, custom built stone gas fireplace, MBR with en suite and walk-in closet, 2 car garage and sprinkler system. Home sits majestically up paved driveway with wonderful views of the neighborhood. Just over an acre of landscaped yard with mature plantings and backyard storage shed. Finished lower level for additional 600+/- SF of space and an added bonus; a spectacular 23′ X 23′ sun porch – the perfect place to have your morning coffee! This is a wonderful home that you must see…call today for a showing!